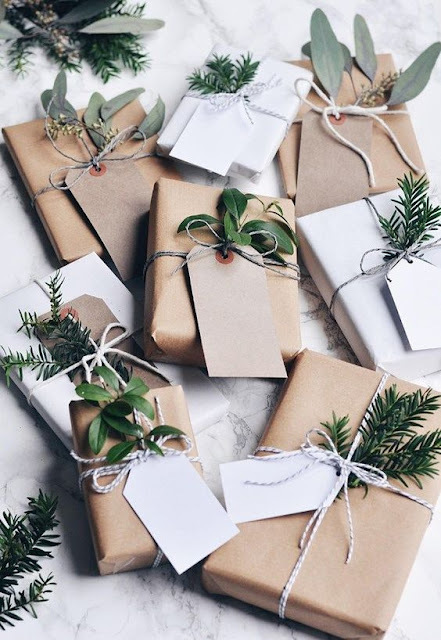 If you are as passionate about the environment as we are then read on to discover our favourite recycled and eco-friendly gift wrapping tips and ideas. 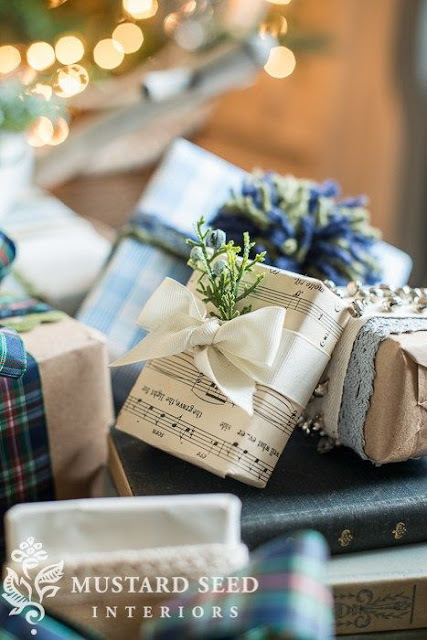 We have compiled this inspirational list of ideas for making gifts look gorgeous yet they still retain an eco-friendly ethos. We have taken inspiration from our own designs and also from the talented community over on Pinterest, hope you enjoy all our favourites! You can’t beat brown paper for a wonderfully whimsical look. Add a length of rustic twine and some greenery from the garden and this rustic, eco friendly theme really does take some beating. These days brown paper is available in all kinds of designs and it usually remains very eco-friendly and made from 100% recycled materials, but be sure to check the source. 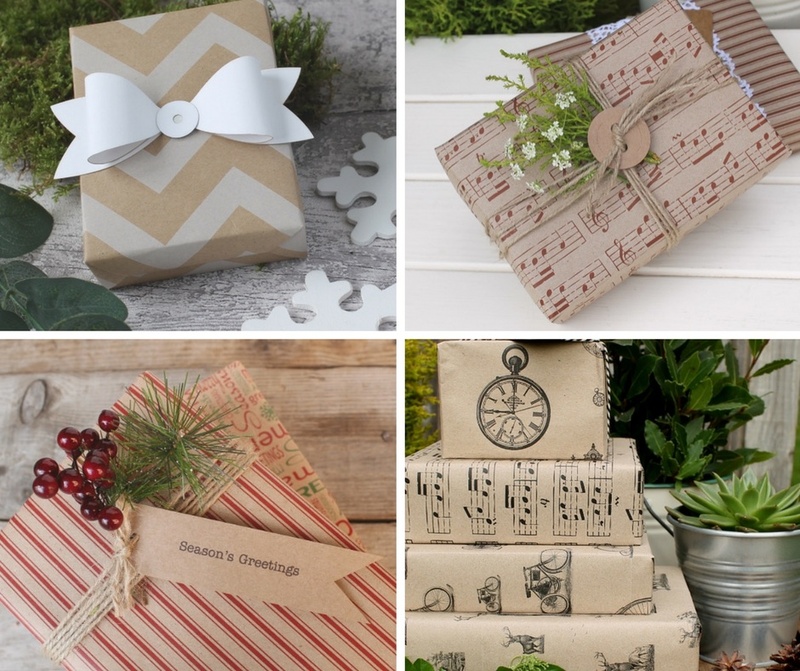 I like nothing more than rummaging around in a charity shop in search of sheets of old music scores – they make fantastic wrapping paper for small gifts. 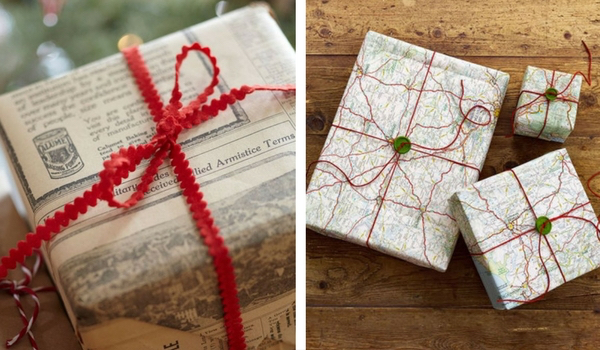 Whilst you’re in the charity shop look out for old maps and newspapers too as these are great for wrapping gifts for the man in your life. Fresh foliage, feathers and pine cones make lovely little extras to add to your gifts. They can be tied in with bakers twine, garden twine or a piece of pretty ribbon. I prefer using the best ribbon available but re-using it over and over again. I’m the one at Christmas who picks up all the discarded lengths of ribbon and hides them away in my ‘ribbon drawer’ to be re-used at a later date…. does anyone else do this?? 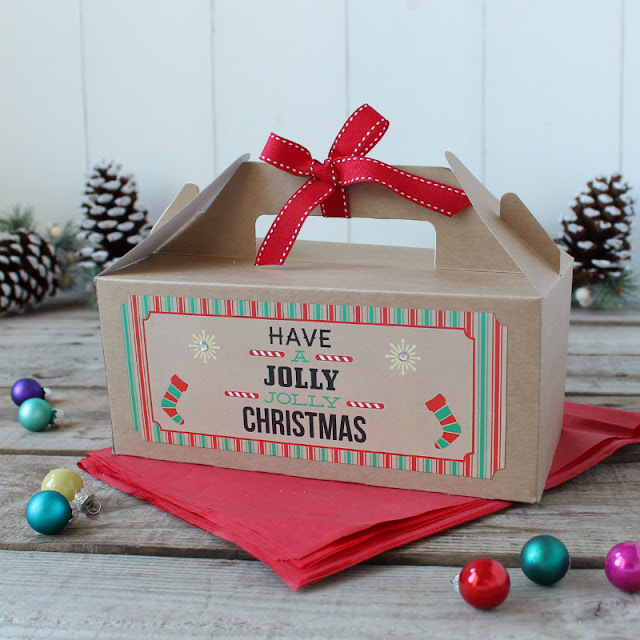 A good quality gift box can be used lots of times and the overall theme can be changed just by decorating it in a different way each time it’s used. It’s a great idea to collect any little oddments such as a sprig from a faux flower decoration, some left over Christmas baubles that aren’t used anymore, unloved costume jewellery and small toys. They can all look amazing tied onto a present and can instantly give a personal and professional finish. 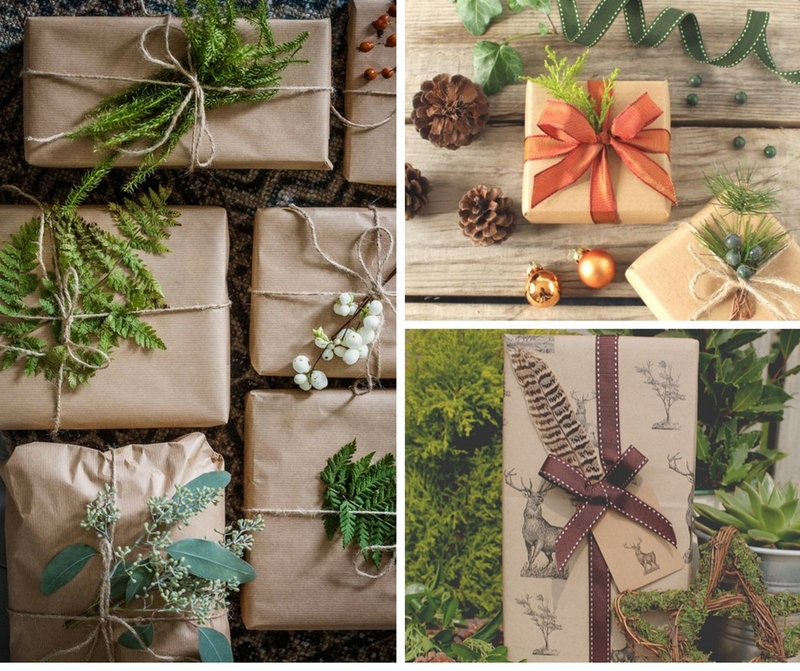 I hope you have enjoyed our favourite Recycled and Eco-Friendly gift Wrapping tips and ideas. 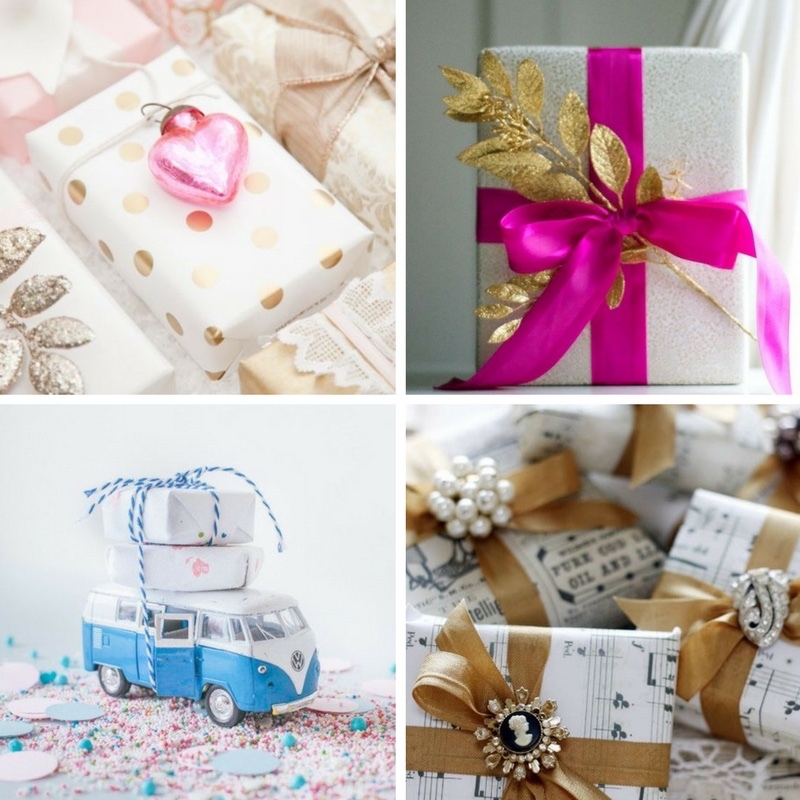 We would love to see some of your gift wrapping creations over on our Facebook page. You are not the only one saving ribbons and stuff for further use. How can that be thrown away? Since I do cards, mixed media, canvasses and whatever comes into my mind I have use for just anything and there are tons boxes with stuff in my work room. 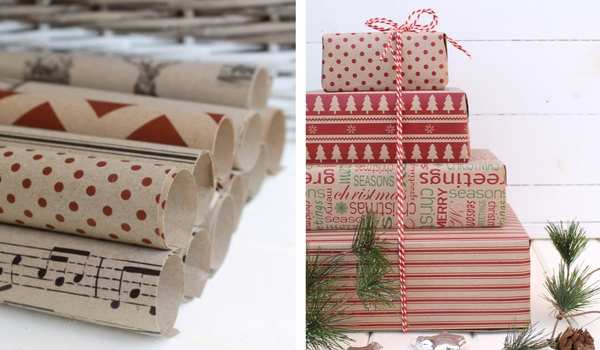 I am a big fan of recycling and I can't remember when I last bought any sort of wrappings. 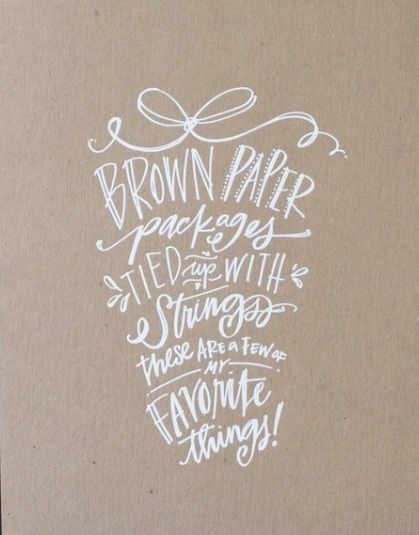 In delivery boxes come tons of craft paper for cushioning, lovely crinkled. It can be pretty stamped to personalise for the person or occasion. Newspaper is a big hit, for wrapping, for making embellishments, preferably flowers. My customers love it. Dish towels make a nice wrapping for ie a cook or baker. Guest towels for shower gels or body lotion... boxes and bags can be used several times and decorated to suit the occasion or person. I don't even use sello tape. When a ribbon alone doesn't do the job, then I use a glue stick or something similiar. Thank you for adding lots more hints and tips for our readers!